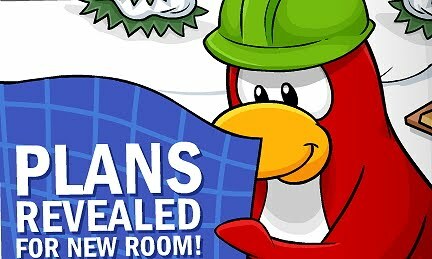 Club Penguin Cheats by Mimo777 Club Penguin Cheats by Mimo777: New Club Penguin Room, Path & Garden! Woot! Club Penguin has revealed a new room! There will be a Recycling Center built by the Mine Shack. Gary the Gadget Guy is inventing a new machine to put in the new room to help us reuse items! 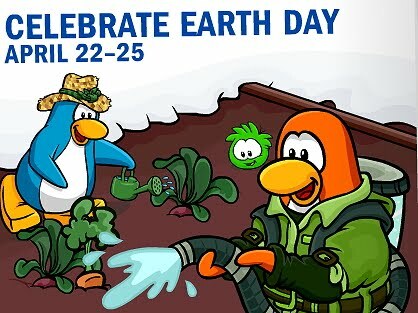 In addition, Club Penguin needs our help to build a garden and a new path that will connect the new Community Garden to the Forest. Saweet! This will all take place during the Earth Day Celebration April 22-25! Cool? What do you think about the new room, garden, & path? Which one do you think will be your fav? My fav will proberly be the new room.I always love the new rooms.I absolutley loved the mine caves when they opened.I'll also like the garden . (i love planting things)and can't wait to recycle on CP. So cool! And oh my gosh my birthday is in two days! have you not noticed that iin the HQ there has (For a Very LONG time) there is a empty TV screen monitor. I like Them All! They all sound awesome! New room I think this new room could probably link up to this new mission if you think about it probably could or probably might not happen but a new room awesome could G be inventing it for our new mission? Yay, congrats to the mods! The mod changes were quite a long time ago. there should be another one soon! Well club penguin are going green because its earth week i think . Maybe you should try going green it is alot of fun . wo ye zhi dao! in chinese it means i agree! Does this mean there will be a new map?? Sweet! I can't wait until the party! It's only 7 more days until the party! Neither can i! im sure it is gonna be a really awesome one. How come club penguin is going green? I don't like that and it's not encouraging me to go green, cuz i never will. Well CP is probs goin green cos disney is in charge. also just coz u won't go green dose not mean you shouldn't do its encouriging us to save the planet coz of global waming so even is u won't go green then just deal with it coz other want to. GASP! Going green is a very good thing! If we don't go green our earth will die and so will we all! That means no more Club Penguin, either. So let's go green if you want to live to be, oh idk, 40! I am even changing my sign off to a green one! Since Club penguin is getting greener and Herbet wants it warmer, Herbet might stop the go green party and put a BIG factory and pollute Club penguin! Mimo777, please... pretty please, will you have a going green party? And turn green? Please? It's great that you love planting things.i am excited about the new room too. my personal fave might be the path coz it might lead to a different room. but im not sure. im glad to hear your so stoked about earth day. I bet you could put in an old item, and a knew one will pop out. HAPPY EARLY BIRTHDAY! Hope you will get all you wanted! Hi! No need to put "CPG MOD IN TRAINING" after your name! Just put "CPG MOD" after your name when you are modding! Thanks! There may not be a completly new map, but they will probably add something like a picture of the room to the map. You know? They will add it to the map. The last mod changes were a while ago, but Mimo may do some more soon! CP is going green because it is awesome! No, not really, CP is going green to try and help Earth! We humans are destroying earth! Its really bad! If we dont do anything about it, we may not have anything to call home or earth! Earth will be gone! Please go green! Reuse Reduce and Recycle! Mimo already knows that and he posted it a long time ago. But good find! Good idea! And just to remind you that you only have to put (CPG Mod) when you answer an question. How come club penguin is going green? I don't like that and it's not encouraging me to go green, cuz i never will? Its going green becuase we are making Club Penguin a betr place. Turn Green and help make CP a better enviroment! Kinda. The new room will just appear on the map I think. The last mod changes were a while ago. But Mimo announced on his twitter that he will make new changes soon. I am planning to plant some plants on my lawn for Earth Day! I'm encouraging my dad to buy me some plants. I want a party! Party! party! please mimo777 Ive nevr been to one of ur parties. A party? awesome i totally think u should! I want to meet mimo777! ive never been able to figure out the riddles. PLease? That's too bad..we need to help our earth! There will probably be a new section/room in the map...not a new map tho. Oh wow!! some people think CP is getting worse, but i think its a lot better now. Awww, you should try, it's not as bad as you might think!! we have an energy monitor and it turns out were not using as much as we thought. It also makes you feel quite good knowing your helping to save the planet. Yeah, i agree. It makes me feel good knowing im helping the environment!! cant wait 'til earth day. So that would mean your Birthday is today!